If you haven’t played Black Desert Online, you’re likely to remember it for the waves made by its astounding character creator, which produced alternately gorgeous and ridiculous results. Now you’ve got a new chance to try out the game itself, with a free weekend already in progress on Steam. Check out all the best MMOs on PC. The free weekend is already in progress, and lasts until January 28 at 13:00 PT / 16:00 ET / 21:00 GMT. All you have to do is hit the Steam store and click “play game.” The initial install is just under 30GB. 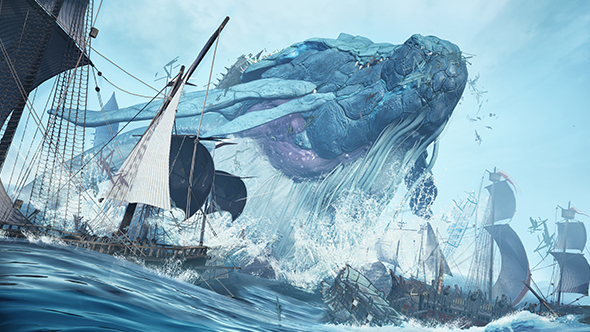 There’s an in-game event going down alongside the free weekend, with the ocean boss Vell busting out of its seal for the first time, visible to players sailing the Margoria Sea. That happens just an hour before the free weekend is scheduled to end. All versions of the game are half off through Monday, going from as little as $4.99 / £3.49 / €4.99 for the base package to $24.99 / £14.99 / €24.99 for the premium version of the game. Black Desert Online has been available for a handful of years now, but only came to Steam in May of 2017. Despite forcing players to make new accounts on Valve’s service, it’s remained a staple of the Steam charts with players regularly in the tens of thousands.